If your looking for something to do with your leftover chili, this is a great option. The sauce is so simple and it also helps to use up some of the chipotles used in the chili. I used pappardelle for this, but you can use any pasta you like. Melt butter in a medium saucepan. Add heavy cream and chipotles. Simmer on low for about 5 minutes until sauce has thickened. Add pasta and a little of the pasta cooking water. Toss to coat pasta and season with salt and pepper to taste. 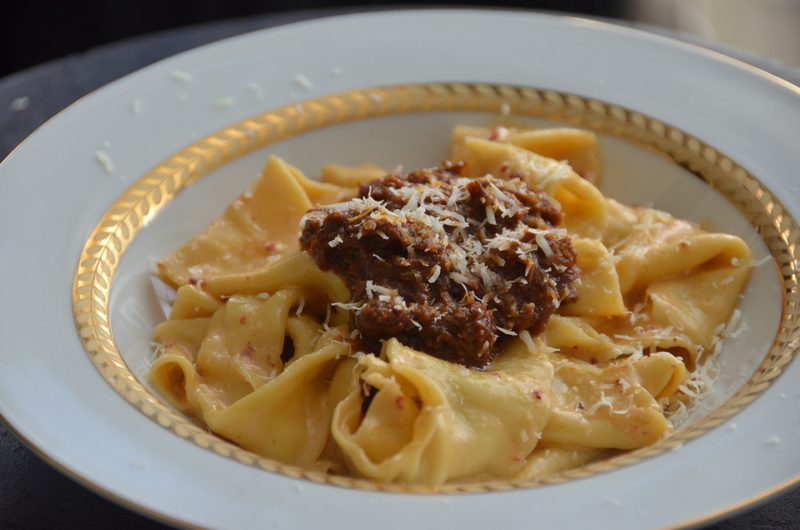 Serve pasta topped with short rib chili and parmesan cheese. This should make enough for two servings. Double for more.